Relationships nurtured over decades in Tea, is what has enabled Tea ‘n’ Teas to mature to its present avatar. Regardless of the fact that we operate out of a remote rural area in the Nilgiris, we have an unprecedented international outreach which has been fuelled by the proactive support and involvement of thoroughbred and dedicated Tea professionals on 3 continents. Each one of whom is also a friend and an integral piece in the jigsaw puzzle of our success story. While still ongoing and a story still being written, Tea has been a passion and an integral part of Indi’s life for the last 45 years. Hands on experience in every single aspect related to Tea, stretching all the way from the Tea nursery and field cultivation into manufacture and blending, further extended into international trade, makes him a unique individual in the industry. Well known for his optimism and forceful character Indi has been an innovative force in the Nilgiri Hills where he has been producing artisanal teas for many years. All the learning and experience in his ongoing journey has now been encapsulated into his dream project – The Tea Studio. With a degree in Media Studies from University of Birmingham, having put aside what was becoming a promising career in that industry, Muskan has taken the plunge, diving headlong into the world of Tea. Taking to “Tea” like a fish to water, slowly but surely and with a single minded purpose, she is all but taken over the baton from her father, absorbing his vast experience and further leveraging that knowledge. A rarity in the male dominated industry, she continues to raise the bar higher. Heading a dedicated team of young ladies from the villages neighbouring the Tea Studio, Muskan very capably manages the Tea Studio where, experimenting and thinking out of the box, she has innovated and produced some never before done teas. The Green Nilgiri Bamboo, a tea which is awaiting a patent in her name, is the first WOW from her bag of tricks. An innovative tea which can only be described as a star which, one suspects, is also the first of many which would in course of time come tumbling out of the same bag. 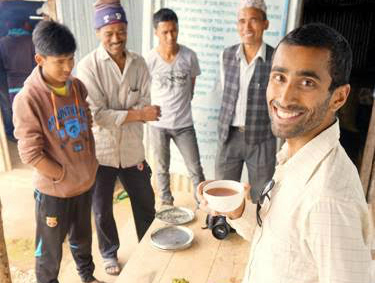 An American-born electrical engineering grad, with absolutely no Tea background to fall back upon, but driven by an out of the box idea, Raj started Young Mountain Tea with a deal to farmers in a non traditional tea Kumaon region in the foothills of North India which had been experimenting with tea cultivation, that if the Kumaoni communities would grow tea, Raj would start a company in the US to sell it. 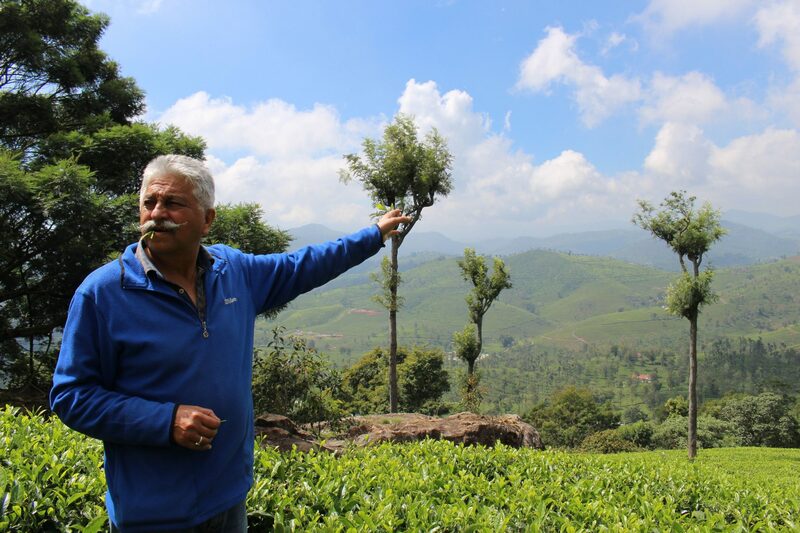 While the deal appealed to the farmers who set the ball rolling at their end, having heard about the stand-alone teas we were producing Raj turned his attention to the Nilgiris, literally landing up unannounced at the door of Tea ‘n’ Teas, to gain some knowledge about the product he wanted to dedicate his life to. Which cold call and the realisation that the young man was actually serious about his crazy idea, led to some serious education under Indi and Muskan. With both of whom he has built up a relationship and a close friendship which has, over the years, matured into a win/win partnership. 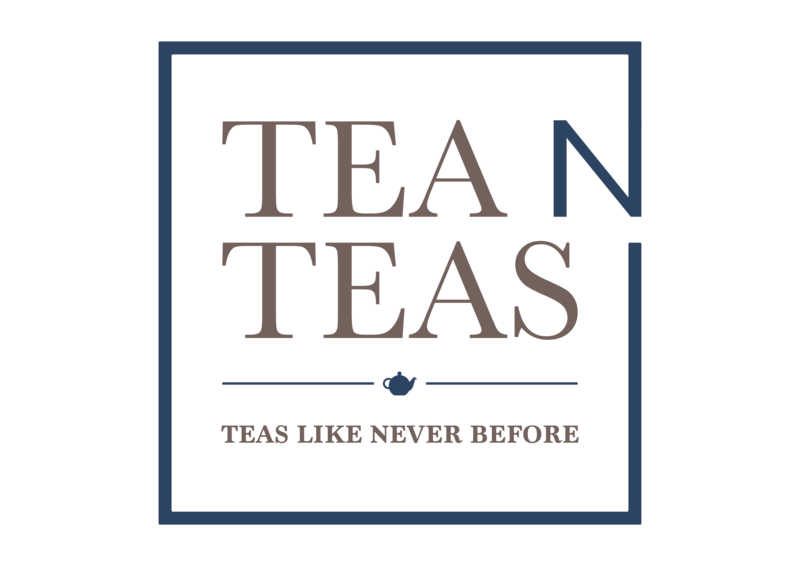 Young Mountain Tea’s expertise is in marketing, focusing on the new breed of tea consumers who are actively changing the course of Tea consumption in the US – the Millennials. 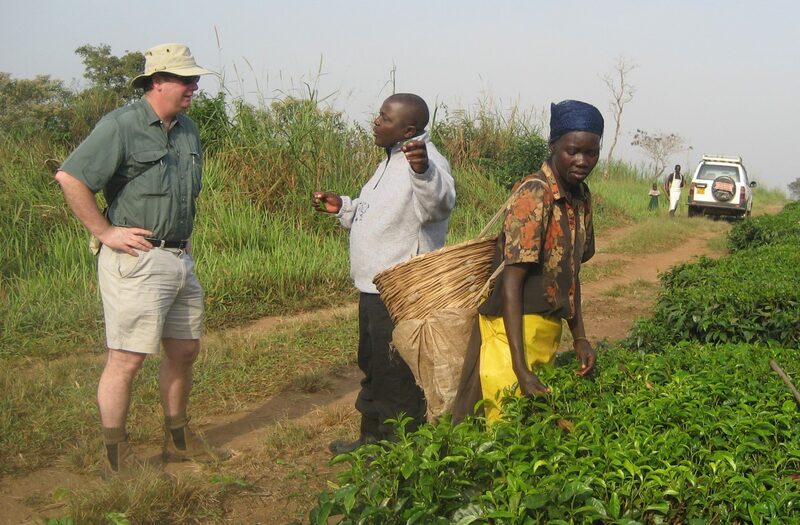 Mike Jones, a close friend from way back when I was operating our business in Dubai and Sri Lanka, is a thoroughbred and seasoned, well-travelled tea man with interests in global tea trading. Mike cut his teeth in the London trade during the early 1980s working as an agent for the Chinese National Native Produce and Animal By-Products Import & Export Corporation, regularly visiting the tea growing areas in China. Despite the decades since, he carries fond memories of dealing in Lapsangs, Jasmines, Oolongs, Congous & Keemuns. Mike’s first visit to India was him travelling to Coonoor in 1983, followed by a period of corporate employment with James Finlay Limited in London which allowed for many interesting and extended trips to exotic tea locations, nurturing his love for Tea. Moving on, since 2010 Mike, having set up his own business, has been trading privately in Tea which has led to the establishment of a trading operation in Kenya. In parallel to his bulk trading activities, Mike has been helping his wife Clare develop their family run brand www.bellevue-tea.co.uk for which, besides others, they also source a range of teas from the Tea Studio. Based in Montreal, Kevin is one of a team of a quadumvirate, all four being committed and obsessive professional tea-tasters. Besides running brick & mortar Tea stores in Canada they are also the driving force behind www.camellia-sinensis.com, arguably the most prolific source of specialty teas online. 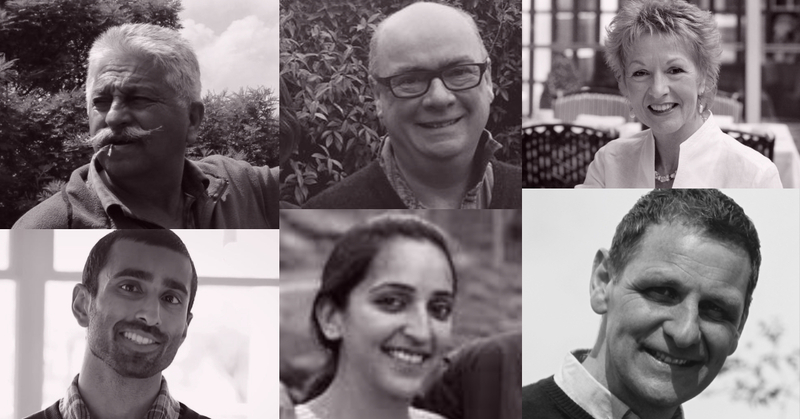 Each one of the four (Kevin / Hugo / François / Jasmin) in addition to running their world famous catalogue, also specialise in a different growing region in the world of Tea, travelling and sourcing the very best teas which each origin has to offer. While the sourcing and distribution of specialty teas is their forté, the four are also totally involved in the extended aspects of the industry including research, education, publication, consultation and trade development. 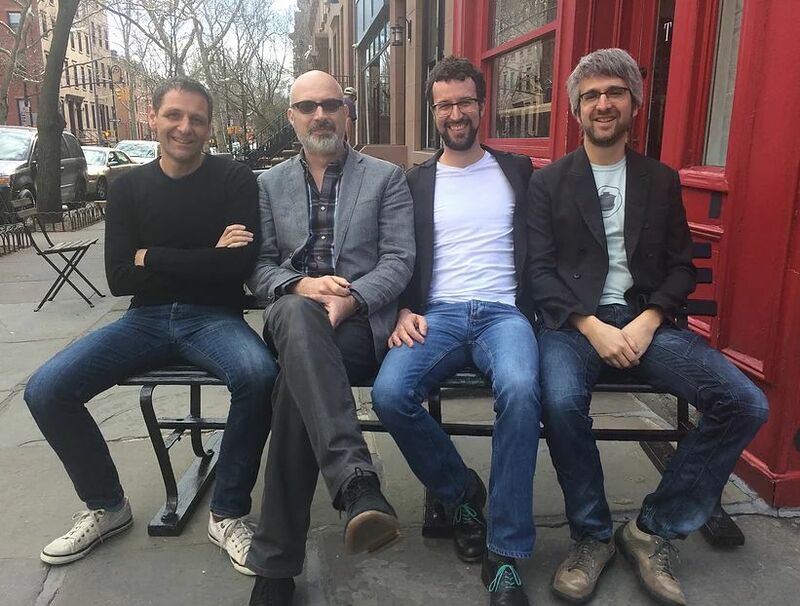 Besides their friendship which has been nurtured over the years, the four ‘Tea Crazies’ each one of whose daily tea consumption compares to the flow of some small rivers, are active partners in the Tea Studio and a source of rock-solid support to our business. While not strictly an active member of the Tea ‘n’ Teas Team, Jane who through the years has been a staunch friend and supporter of our efforts has in many ways been like a guiding hand for us. Well known and a recognized face and name in the world of Tea, she has been involved with Tea since 1983. From owning her own tearoom business, she moved on to become a freelance editor, writer, trainer and consultant to various organisations and tea companies, including the UK Tea Council, the Indian Tea Board, and Twinings. She is currently the Director of Education at the UK Tea Academy, which teaches courses at different levels in London and elsewhere in Britain. 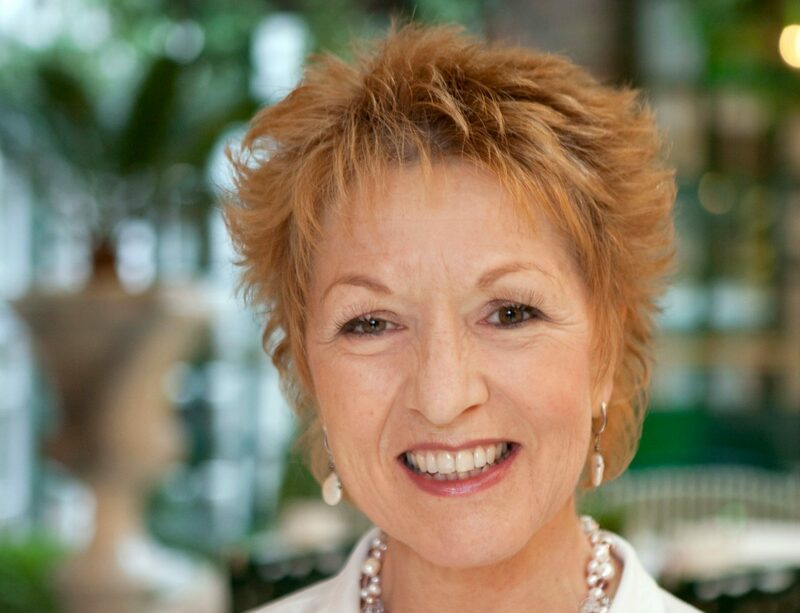 Jane has published 18 books on tea with her latest being a virtual Bible of the industry, Jane Pettigrew’s World of Tea. Her two articles in Stir magazine http://stir-tea-coffee.com/topics/tea-studio have gone a long way in taking our story to the tea community.